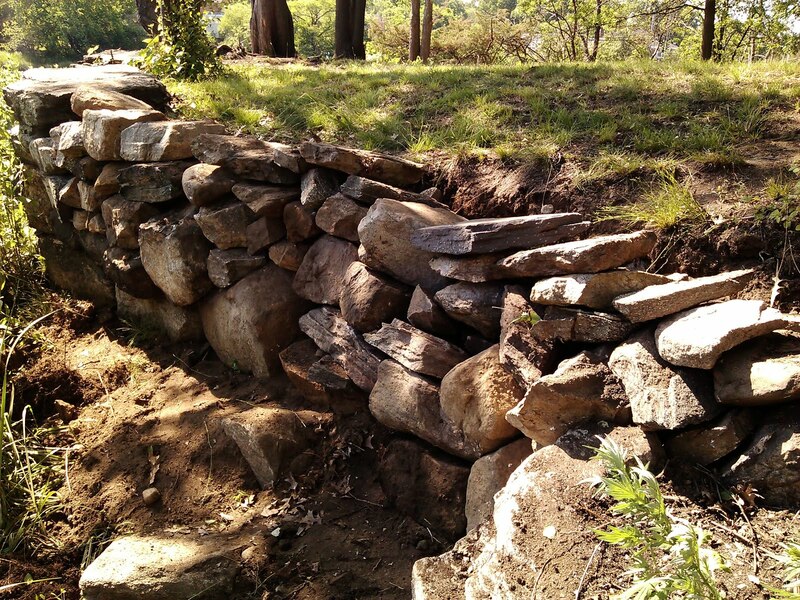 We can announce that the section of the south-facing stone wall of the family plot off Relay Place in Cos Cob has been repaired. 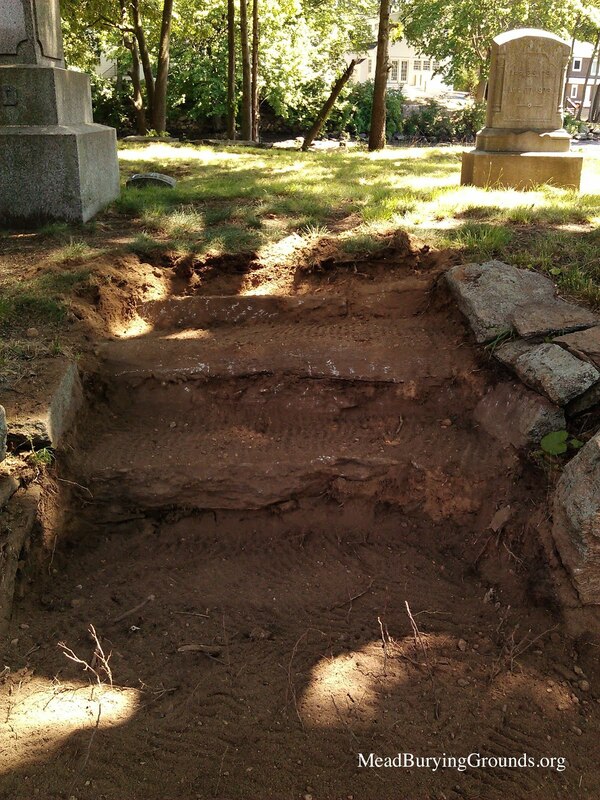 Descendants and visitors are asked and warn not to step on or near this section of the upper tier of the cemetery. More work needs to be completed -but it is nice to report progress on this important matter. 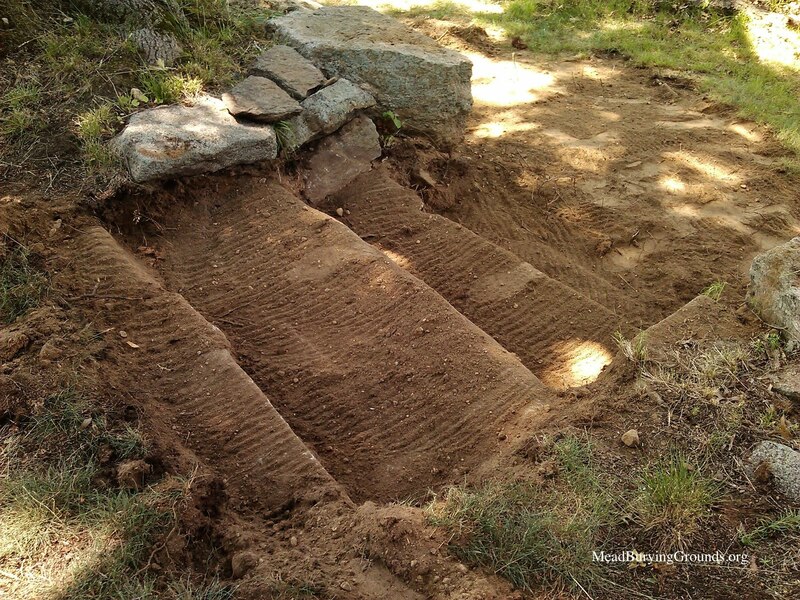 As the images above reveal stone steps were built at the family burying ground near Cos Cob's Mill Pond. Some of us had heard that many years ago that Herbert William Mead, who lived at 7 Relay Place near the family cemetery, covered the stone steps with dirt and sod. The reason? It made the task of bringing a lawn mower to the upper tier of the cemetery easier. That was over 75 years ago. 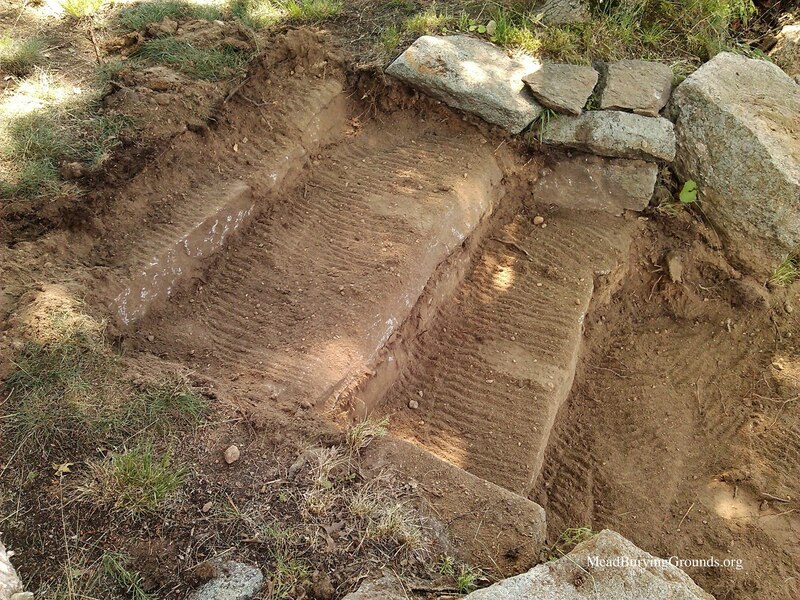 Since we only use a weed-eater to cut the lawn the time seemed right to see if the stone steps were real or not. The cemetery dates from circa 1791 -though the earliest graves were transferred to a lot in Putnam Cemetery. The stone steps will remain exposed as pictured above.